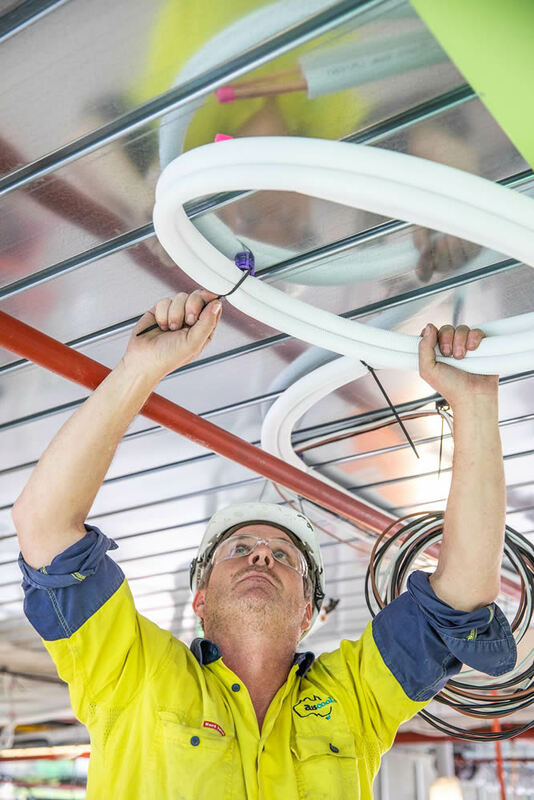 Our clients are drawn from across industry sectors including commercial, retail and government resulting in Auscool managing a diverse range of projects varying in size and complexity. 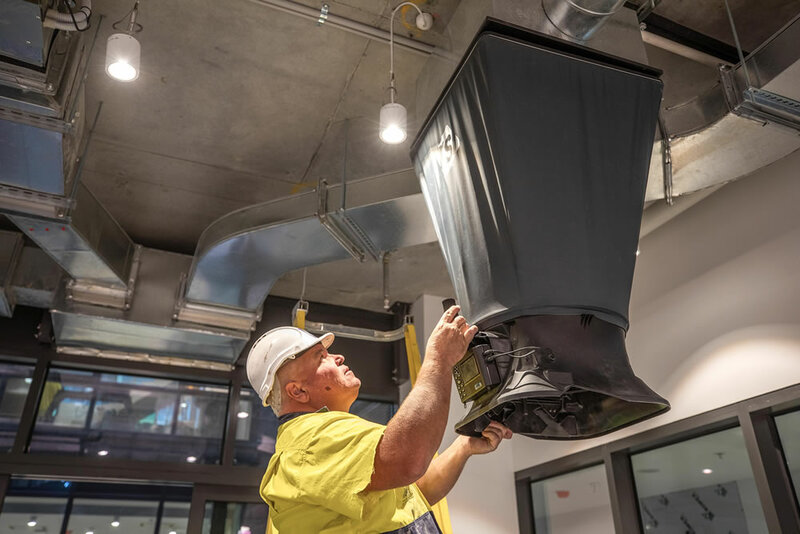 As a Melbourne-based company, the majority of our work is carried out in and around Victoria's capital city, but the Auscool reputation has garnered us clients from across Australia in destinations as far-reaching as Darwin and Brisbane. The hotel is expected to open in late 2019. 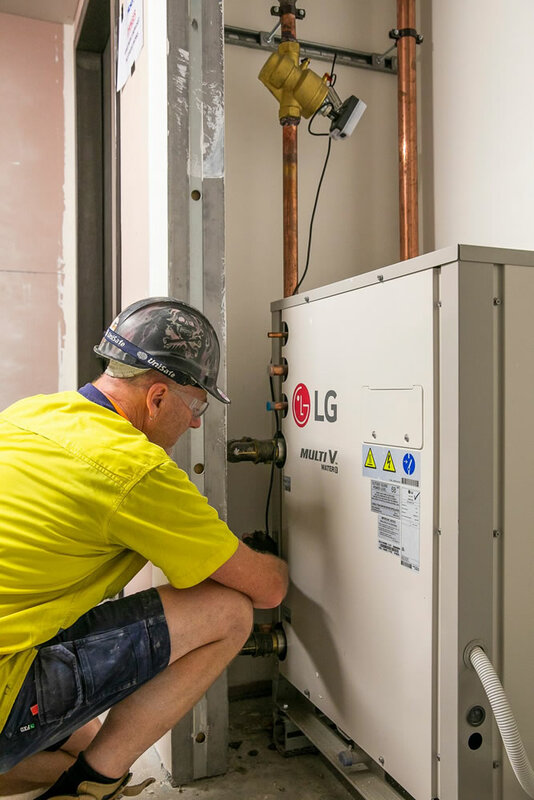 Auscool has been engaged by Hutchinson Builders to supply and install the Mechanical Services to the new Lincoln Square Student accommodation project Located at 625-631 Swanston Street. The project has been designed as 14 level building includes capacity for 656 students. The project requires demolition of three conjoined sites that house buildings dated from 1922 to 1955. 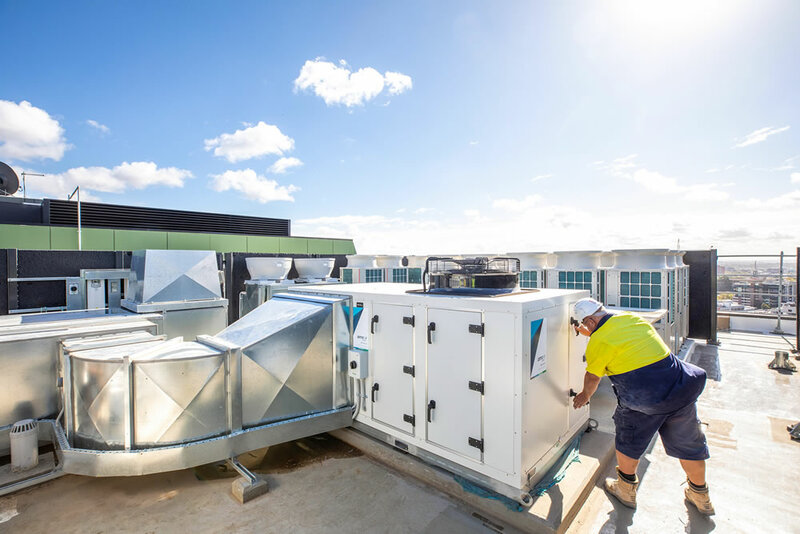 Auscool has been engaged by Hickory Group to Supply and install the Mechanical Services to the very high end Victoriana Apartments. 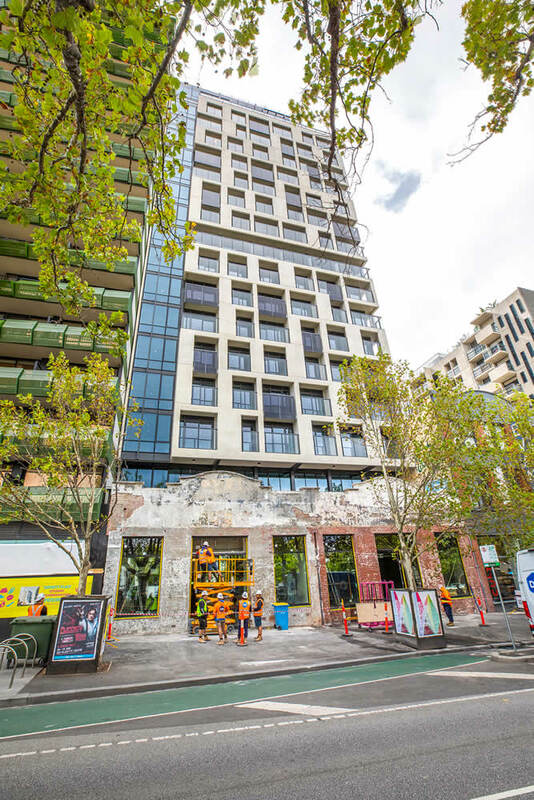 Situated on the fringe of Melbourne's CBD, Victoriana provides 250 residential apartments over 18 levels. The large 2, 3, and 4 bedroom luxury town homes and residences include private gardens and green outlooks with park and bay views. Amenities include exclusive residents' cafe and restaurant and gym on the ground floor. 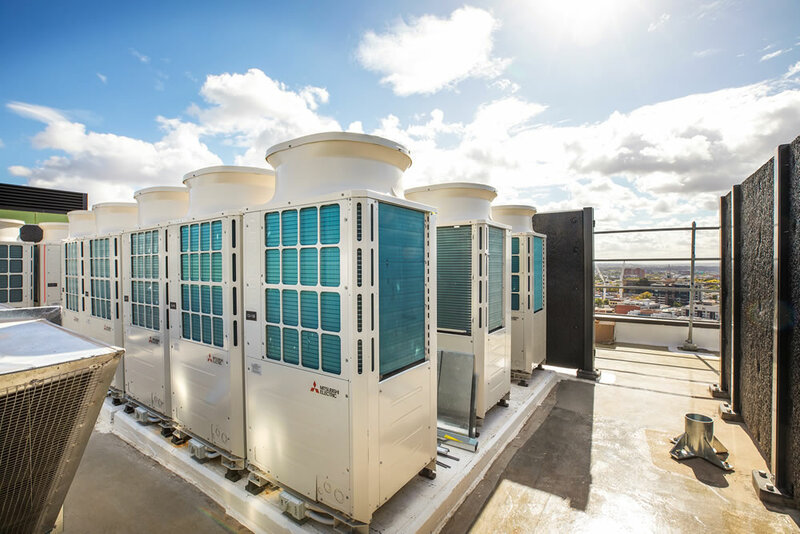 Auscool are using Daikin VRV A/C units to provide the heating and cooling on this landmark project. 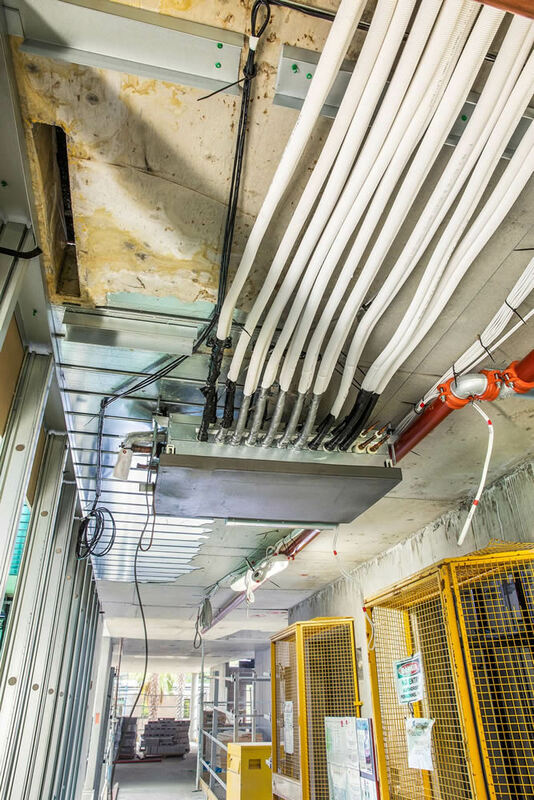 Auscool have been engaged by Hacer Group to supply and install the Mechanical Services on this project. 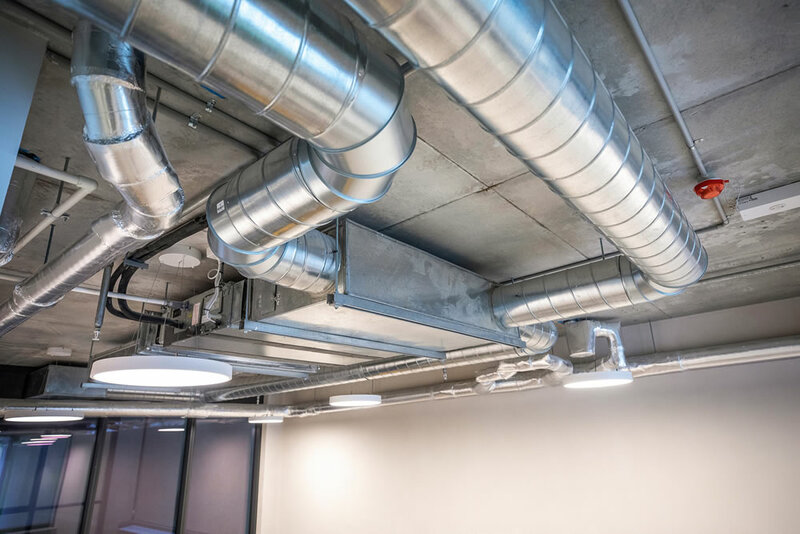 This project involves the design and construction of a new 6 storey (plus 1 basement level) and the retention of an existing 'donut' building with an additional 2 levels added. 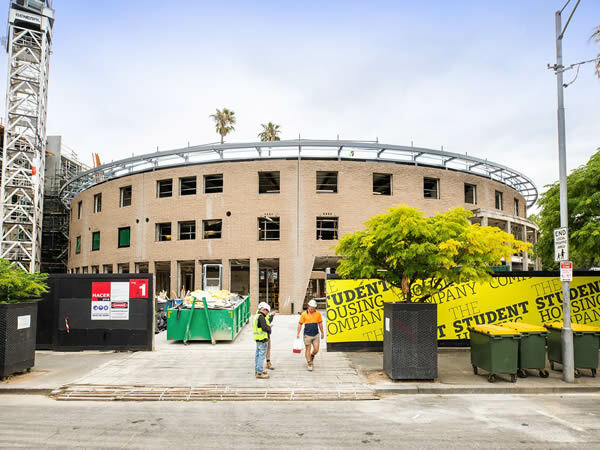 The student accommodation development located opposite Princess Park in Parkville comprises of 367 beds. The building will be a mixture of single bed studios, 1 bed, 2 bed and 3 bed apartments. 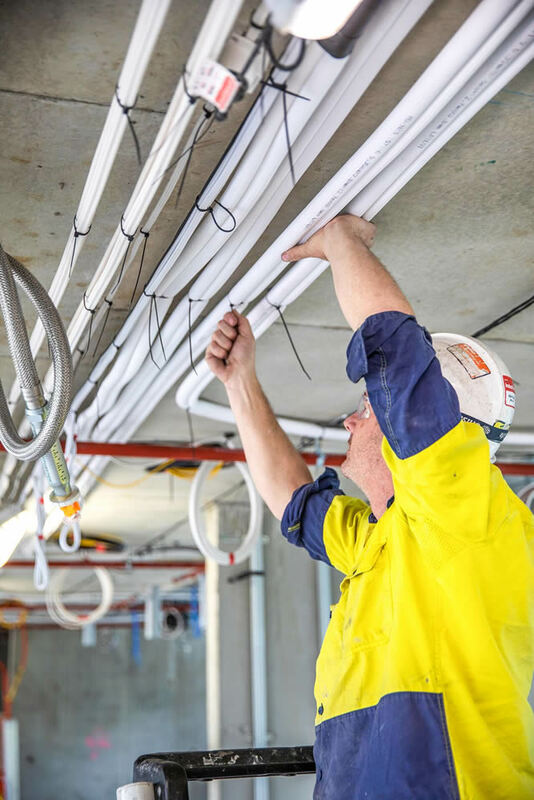 The building will also consist of multiple student communal areas (including gym, laundry and cinema facilities), as well as back of house building services areas/plant areas and authority services infrastructure areas. 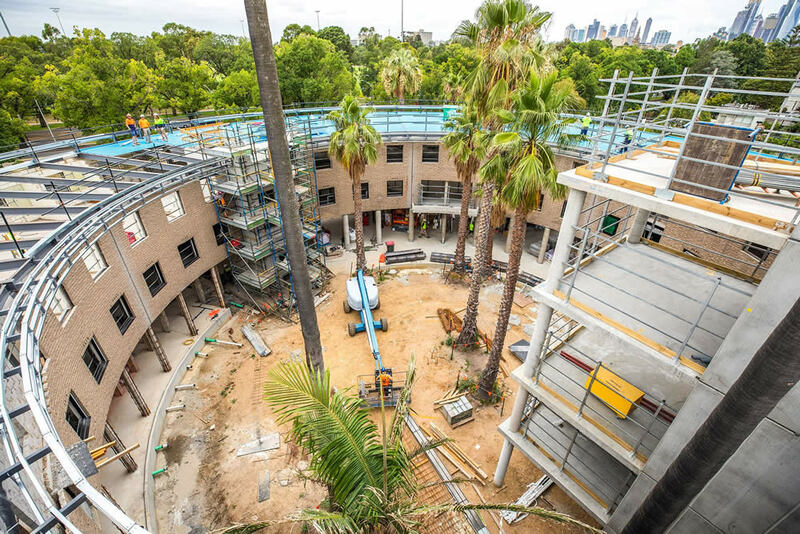 The ground level will house foyer and reception areas, multiple student communal areas, administration facilities and student bike parking facilities. 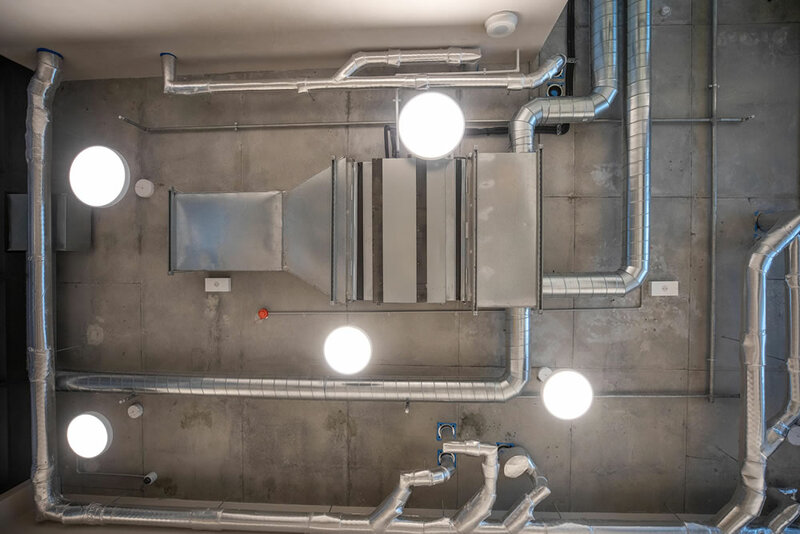 Additional common areas are also distributed throughout the remaining floors of the building including kitchenettes and lounges. 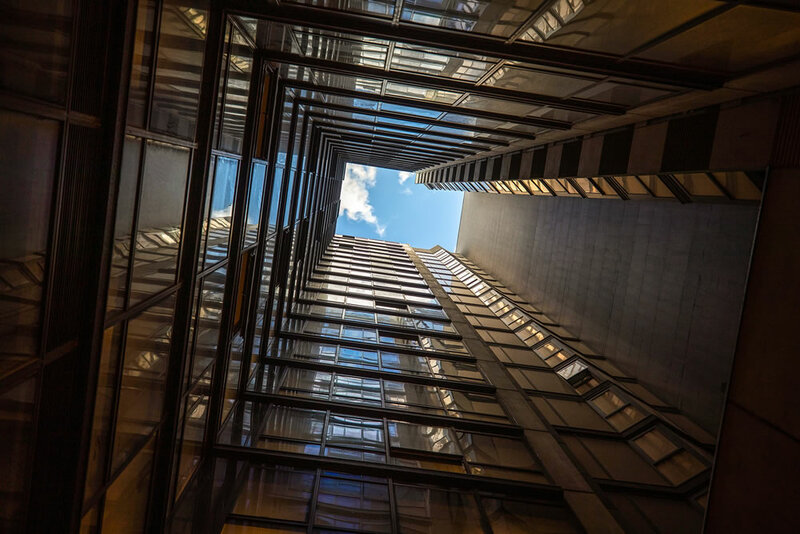 This project involves the design and construction of a new 21 storey (inclusive of 1 basement level) student residential development located within the Melbourne CBD. 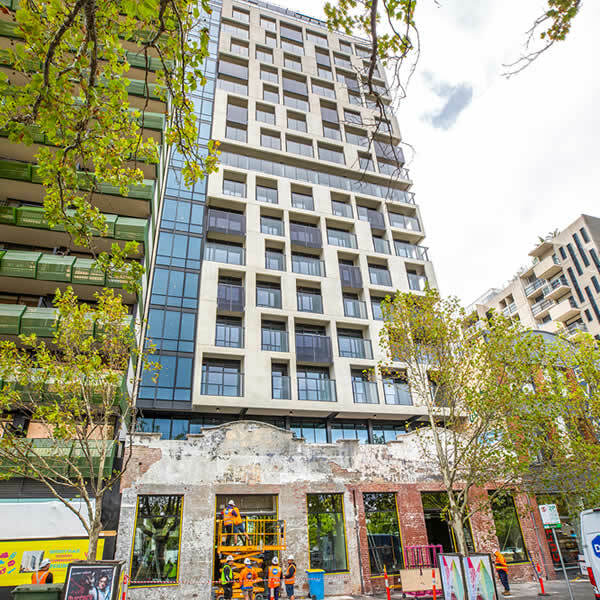 The new building will retain a heritage facade spanning the Elizabeth St side of the development site. 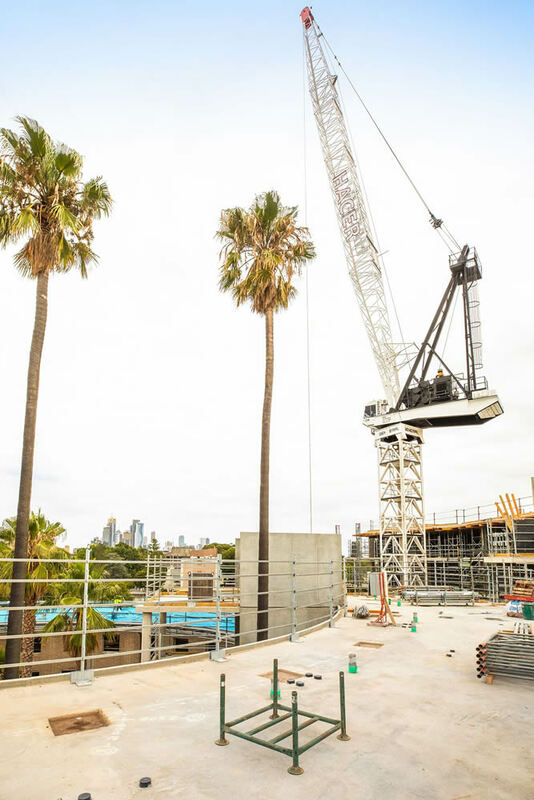 Comprising approximately 330 beds, the student accommodation building will mainly consist of single bed studio apartments, as well as a mix of multi bedroom and duplex apartments. 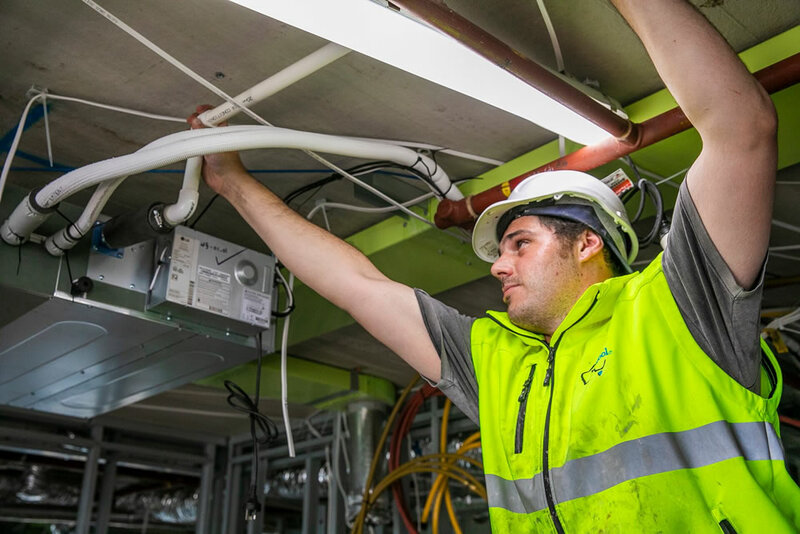 The basement level will consist of multiple student communal areas (including gym, laundry and cinema facilities), as well as back of house building services areas/plant areas and authority services infrastructure areas. 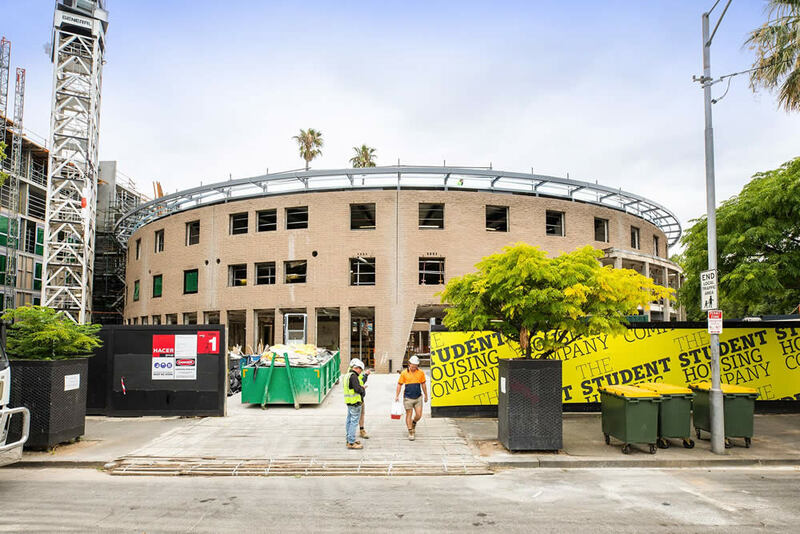 The ground level will primarily consist of front of house areas (foyer and reception), multiple student communal areas, administration facilities and student bike parking facilities. Located in the heart of Glen Waverley, Galleria is a luxury residential development. 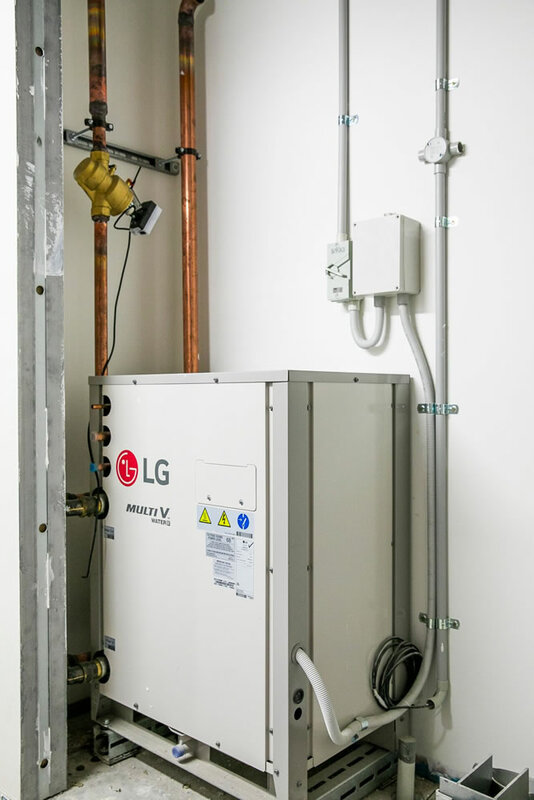 With 267 one and two bedroom apartments and integrated retail on the ground floor, each apartment features high quality materials and well-engineered kitchen joinery. Galleria takes its inspiration from the infinity symbol to form a unique ‘four-leaf clover’ building and sinuously interconnects. The 15-storey building’s façade features symmetrical coloured banding, one half white and the other clear. The semi circular lobby area features curved forms to mirror the building’s exterior, and high-vaulted ceilings. 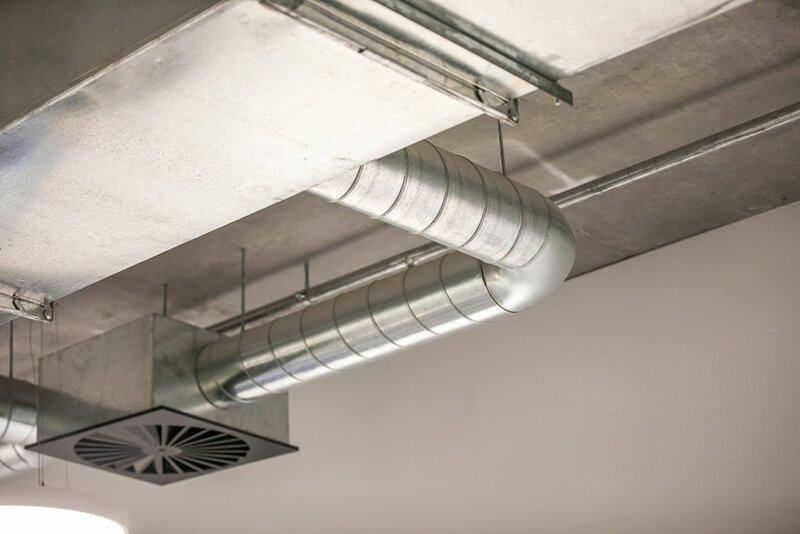 Each apartment comprises of a Fujitsu Ducted type A/C with linear grilles. 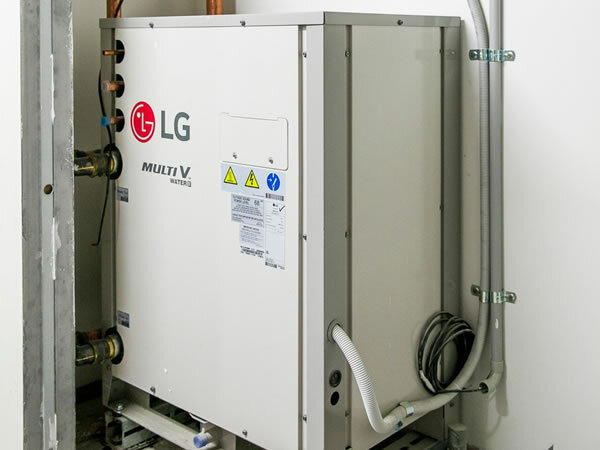 Design and installation of the complete mechanical system using an LG water-sourced VRF system. 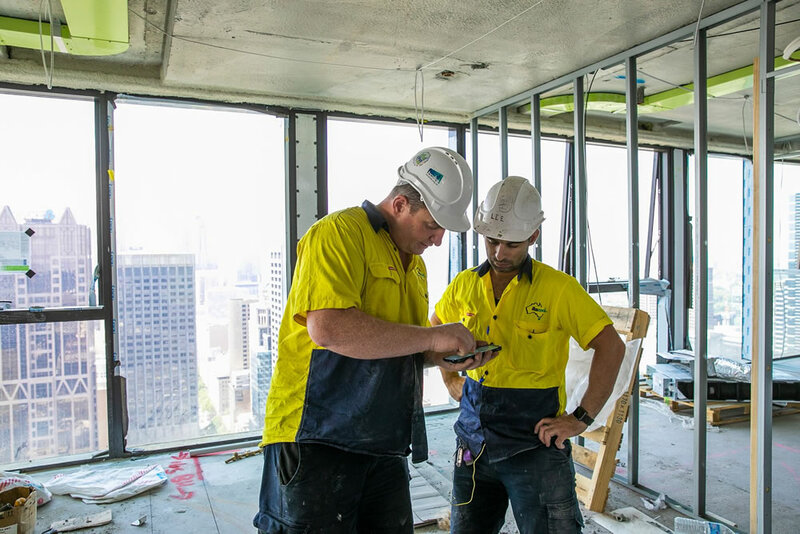 Once completed, this building will be the tallest modular building in the Southern Hemisphere.